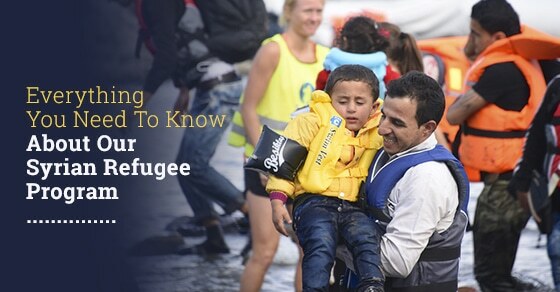 What has been dubbed by many as the “Syrian refugee crisis” was perhaps the news story of the year in 2015. This story exploded into international news coverage when wave after wave of migrants navigated a very difficult and dangerous path into Europe. Many of these migrants were Syrian and were fleeing violence and famine in their country. As such, many have applied for refugee status. Many Syrians made the difficult decision to leave their home country and embark on a treacherous journey in the hopes of finding peace and stability. Syria has been plagued in recent years by violence and civil war, and unfortunately, this trend reached a new high in 2015. Violence between the Islamic State (ISIS or ISIL), the Assad Regime, and a number of Syrian rebel groups made life unlivable for many Syrians. As such, many came to Europe, as Europe was the closest place of refuge for them. But many have also applied for refugee program status in non-European countries. The question of how many Syrian refugees to take in has been a hotly debated issue in many countries. 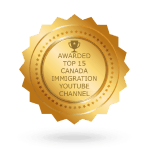 For a long time, Canadians have seen their country as one that embraces immigration and has prospered because of it. As such, the Canadian government led by Prime Minister Justin Trudeau, has pledged to take in 25, 000 Syrian Refugees. This response has been applauded by many analysts and political critics who have been dismayed by the response of some politicians in their various home countries. The Government of Canada has pledged to take in and settle these Syrian refugees, in five phases. The goal of the plan is to quickly provide much needed protection to Syrian refugees while also maintaining the health and safety of Canadians. As of February 2016, 10, 703 Syrians have either already landed in Canada or have been approved but not yet travelled. They have come aboard 21 different flights that have landed in Canada,and 85 different communities are preparing to welcome refugees. The Law Office of Matthew Jeffery applauds the actions of the Canadian government in providing refuge to Syrians fleeing violence in their home country. 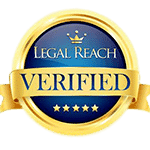 In accordance with Canada’s humanitarian tradition, his firm provides services to those who wish to make a refugee claim in Canada, whether they are from Syria or any other country where they face a risk. 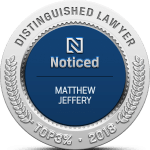 To learn more about Matthew Jeffery and his refugee expertise, contact his offices directly today.